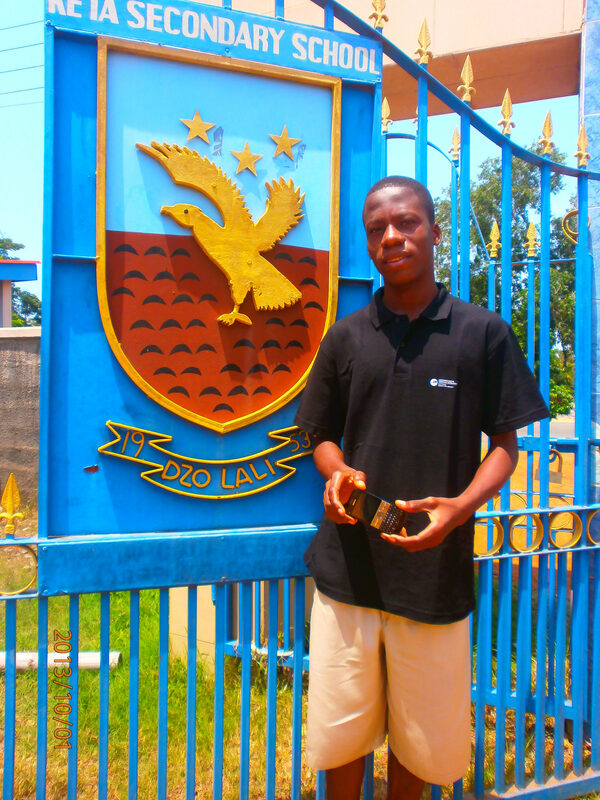 To find clever students at the Keta Senior High Technical School is not that hard, but what Noah does is simply amazing. 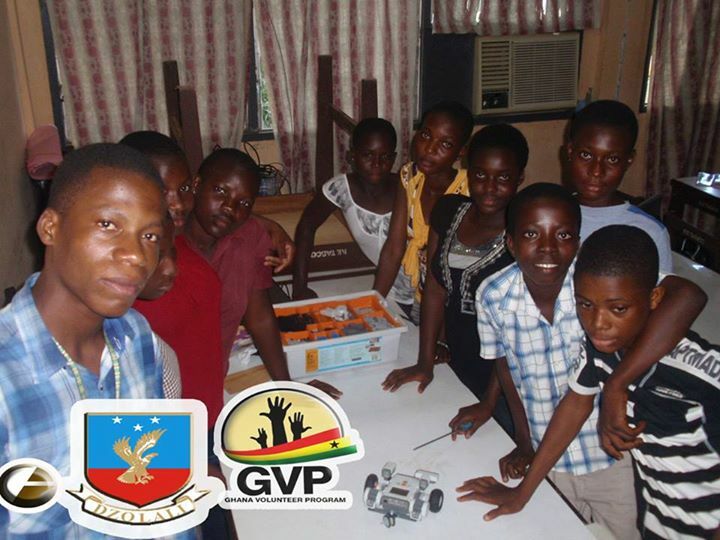 He is one of the most talented kids at his school and continues to work on our project in Ghana (with Margarete’s online support). Voluntarily engaging and working with his colleagues is naturally for him. They founded a “Mobile Learning Society” at the school, are experimenting with robotics (see photo) and most important: approximately half of the group are girls, which is not so common in other schools. Within his new project he and the the “Mobile Learning Society” publish Wikipedia articles and contribute with their work to the free online encyclopedia. Currently he is collecting money for a drone to give people all over the world an insight to his work, life and great projects. With the drone they can get a better view from above. One of their first filming projects will be a report about salt evaporation in Ghana. Their experiments will be documented in a blog. All together it is a big step forward with the regard to STEM developments launched currently all over the world. If you can’t, then please share his vision to reach as many people as possible! Keta Secondary School is my Alma Matr and I am very glad to see a thing like this happening there. I have read all the posts and I think that it is a great legacy the sponsors have left for us. The way to development now is through technology. Drones are the newest things that are happening in the world of technology, and having had the experience in handling the drone and the work it does, i think it is good and our young ones should get abreast with it. Mobile phones and digital communication is changing phases every now and then. I would wish that this is replicated in all the Science fields. New technology happening in Biology, Chemistry and Physics. I really enjoyed reading and watching the documents posted here.